On board with the Master of Motorcycle Ambulance paramedics pilot! The most exiting ambulance in the world is the Motorcycle ambulances. This is a a type of emergency vehicle which carries a solo paramedic or first responder to a patient. Sometimes the motorcycle could be a sidecar, but usually in Europe and US it is a customed GT motorcycle. This vehicle coudl respond to a medical emergency much faster than a car or van in heavy traffic; this option can increase survival rates for patients suffering cardiac arrest. 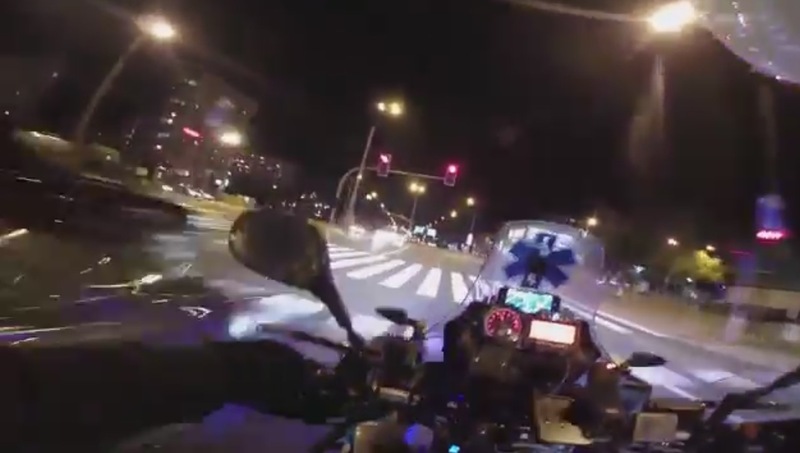 In this amazing video you could came on board with an american paramedic, who drive by night on a congested highway.